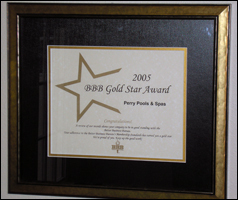 Because of Perry’s dedication, FOX News Houston chose to feature Perry Pools as a company to trust when Perry came to the rescue of a family whose project was left unfinished by another dishonest pool builder in Northwest Houston. 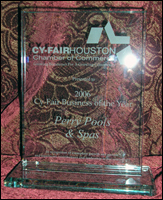 As a client of Perry Pools, expect quality workmanship and distinctive designs. 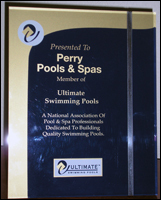 Whether you have a generous amount of space to work or have limitations, Perry Pools works to help make the most of your area. Living magazines “Readers Choice Award” for the last eight years. 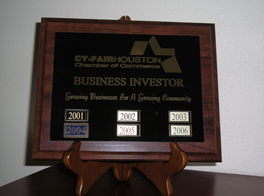 This award is given by homeowners who vote for the best pool company in Northwest Houston.